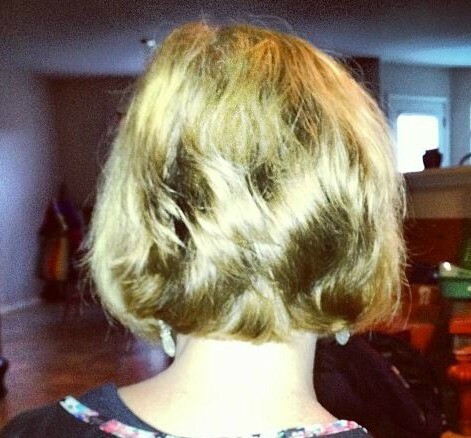 Last summer, I went to the salon on a whim and got a pretty drastic haircut. It was summer and deathly hot here in Texas. I had my hair in a bun or ponytail 24/7 and I was just done. So I chopped it. Logical right? The cut was way shorter than I wanted and I hated it. So since that summer, I’ve been in the growing it out again stage, which is never ever fun. Here’s the back of my cut from last summer. Here’s what it looked like from our family photos that summer. 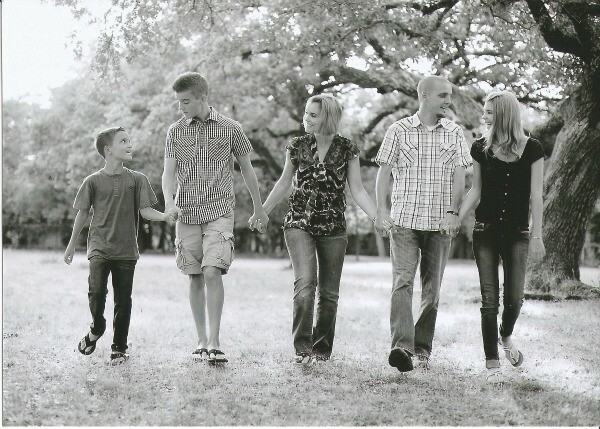 Tip: NEVER get a drastic haircut before you have family photos taken. I’m not sure what I was thinking! Because of my short hair and the fact that it’s not straight or curly, I do a lot of blow drying and a lot of heat styling to my hair. This was not a wash and go kind of style I had cut. It’s funny how the constant ponytail and bun was what frustrated me in the first place and then I missed the ponytail and bun option like crazy! Needless to say, through this growing out process I have really damaged hair right now. What do I want? Strong hair! Healthy hair! Long hair! 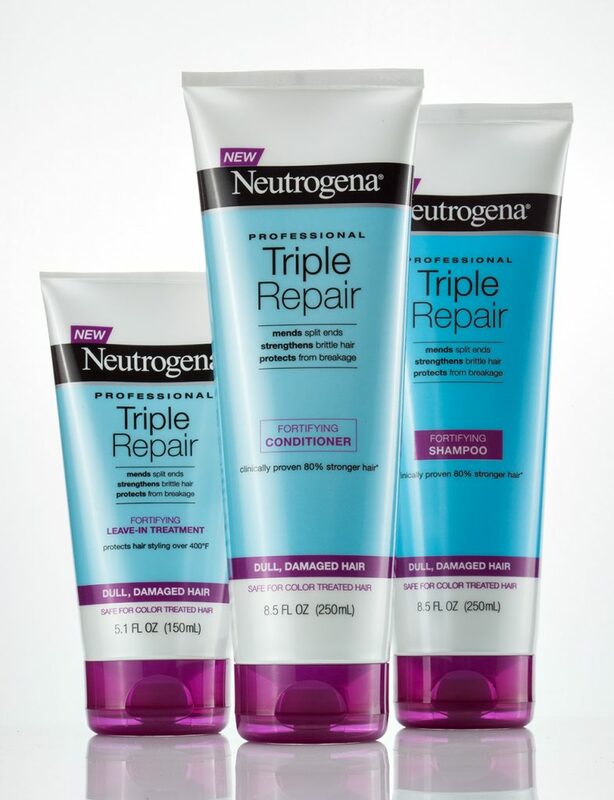 One way I am working towards healthy hair again is by using the Neutrogena Triple Hair Repair Trio. The trio contains Triple Repair Shampoo, Conditioner, and Leave-In Treatment. I’ve been using it for several weeks and have noticed a huge difference in my hair health. I have less split ends, less breakage and less drying effects from all of the heat my poor hair endures. I noticed a difference after just one use and I promise you will too. After using this system just once, hair is 3x stronger – whatever length of hair you have. And since I’m not going to stop styling it any time soon and applying heat, I love the fact that the leave-in treatment protects my hair against heat styling over 400 F. Now I can get that style I want without freaking out that I’m breaking off precious strands I’m trying to grow out. What about color treated hair you ask? Yes, I color treat my hair as well. The things we do to our hair right? The shampoo and conditioner are safe for color treated hair, so no worries there. Where am I at now in my hair growth? I’ve obviously had a few hair cuts since last summer, but it’s getting to a good length for me. I can put it in a bun or ponytail on days I want nothing to do with styling it. Victory! 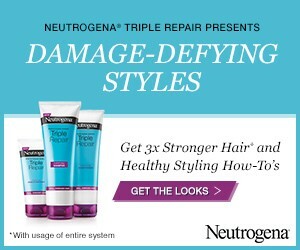 To learn more about Neutrogena Triple Repair, Like them on Facebook to join the community and conversation.